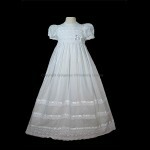 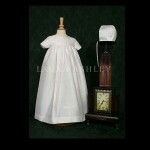 This exceptionally beautiful Taffeta short sleeve christening gown is embellished with Lace & embroidered trim at the waist which also ties at the back. 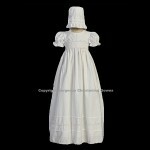 The sleeves of the gown are capped. 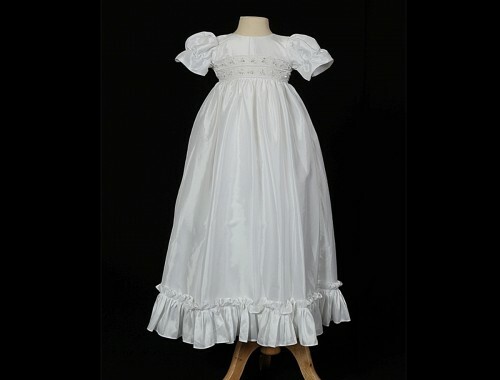 The gown is finished with a ruffle taffeta trim at the bottom of the skirt.